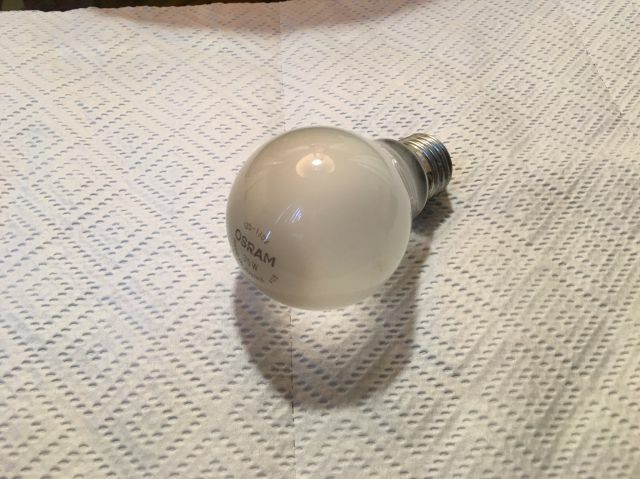 Lighting-Gallery-net - Incandescent - General Service 25-100 watt/Osram 75w 125-130v made in Austria quite a find!!! Collectors overseas have you seen an Osram made in Austria? Osram 75w 125-130v made in Austria quite a find!!! Collectors overseas have you seen an Osram made in Austria? Never seen one made in Austria, have you? The design features look identical to the Wotan bulbs made in Brazil, which I have lots of. Is it E26 or E27 base? Thanks, Dave. Must have it made for the European market where they still have low voltage mains in some area. I'm sure of it. Just happened to find this in a lamp at a thrift store. USA plug and cord too. Base reminds me of the Chinese "Marino"/Ancor brand marine-grade low voltage bulbs, anyone else seen them?